Meanwhile, online marketing faces daunting challenges as modern recipients are sick and tired of frequent spamming and multiple letters go to trash folder by default. That’s why emails are to be attractive, impressive and exceptional and banners help the senders to succeed. 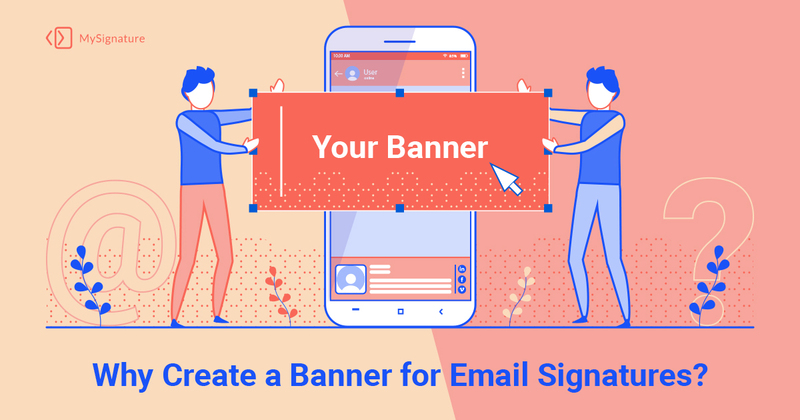 What is an Email Banner? As an innovative form of online advertising, email banners are beneficial and wide-spread. Graphic images make your letters recognizable and attractive, making a great impression on your potential customers. 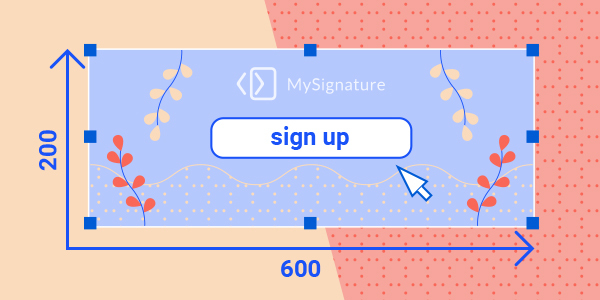 They appear at the very top of your emails as headers or on the bottom, to highlight the signature. A promotional banner makes your messages more professional, attracting your targeted readers, generating their interest in your brand, goods, services or company activities. Therefore, using banners, you get a lot of opportunities for your one-of-the-kind business. beautiful images drive positive emotions. 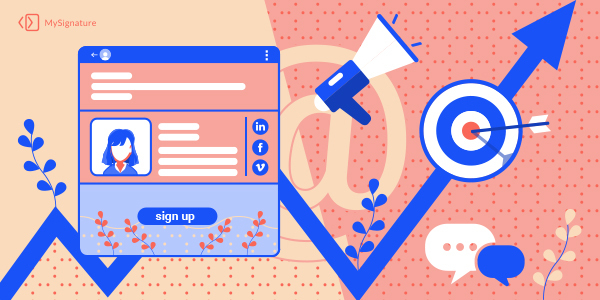 Being a designer, an artist or a decorator, you can showcase your creativity, experience and talent, selecting and customizing an impressive email banner design. Meanwhile, remember about your professional peculiarities and your targeted audience tastes and preferences. Thus, a lawyers or accountant would rather need a simple promotional banner that includes only graphical elements. Fresh colors and pictures are usually not recommended for use in this kind of messages. How Does a Successful Banners Ad Look Like? Heavy-loaded or cluttered images are not recommended to use. They would cause quite an opposite effect. The preferred file volume is about 600*200 pixels. Meanwhile, senders usually prefer the images with volume up to 300 PX for Outlook messages due to the special letters perception peculiarities. However, email banner design inspiration is the most important: the colors, lines, images, graphical elements and creativity matter. How to Add a Simple Promotional Banner to Your Email? Making brilliant, eye-catching banners online is essential for all business people, company managers, freelancers, candidates to relevant positions and self-employed services providers. With professional, powerful email signature generator it is easy, efficient and time-saving. Visit a well-suited professional website to use an innovative, powerful software. Select one of the brilliant templates, developed by talented, experienced designers. Consider the file size. The image should be high-definition and top-quality, but not overloaded. Don’t forget about your business sector and targeted audience. Personalize the template, changing the header and adding a subheader. Download your logo or personal picture. Copy the ready image URL and paste it to your email client. 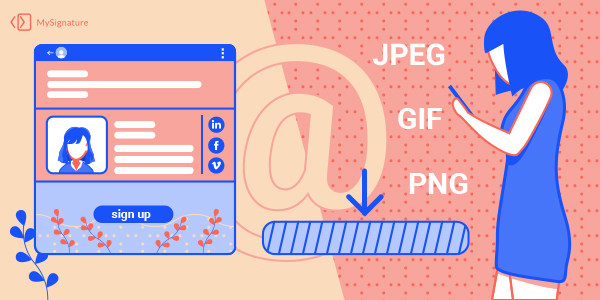 The files are stored in JPG (JPEG), GIF or PNG format. They automatically appear on the bottom of all your letters, so it’s convenient, time-saving and easy. With these professional online marketing tools, your banner campaign is extremely efficient. Using them, you attract multiple buyers within a short time and without any efforts. When your letter is ready, send a test message to yourself, check if it displays correctly. Try to imagine: if you were a recipient, what would you think about this email? Do you like it? Great, if you are satisfied, start communicating people and impress them with brilliant, eye-catching banners. Make sure that grammar and spelling are correct. Top-quality email banner design attracts the readers, significantly increasing the click rate. Mention the buyers’ benefits. Additionally, the powerful, advanced free email signature generator is half the battle as professional, talented designers create brilliant, exceptional templates for you. Now, when your messages are eye-catching, attractive and original, send as many emails as you need. With beautiful, informative banners they catch the readers’ attention and help you to hit your ambitious marketing targets.